While it’s cool to have printouts of your wedding photos, having digital copies of them in your very own phone is also a great idea. No matter where you are, regardless of what you are doing (except driving, of course), you can take a look at your awesome wedding pictures and reminisce the memories of your big day. This is no longer impossible, given the kind of technology we have today. 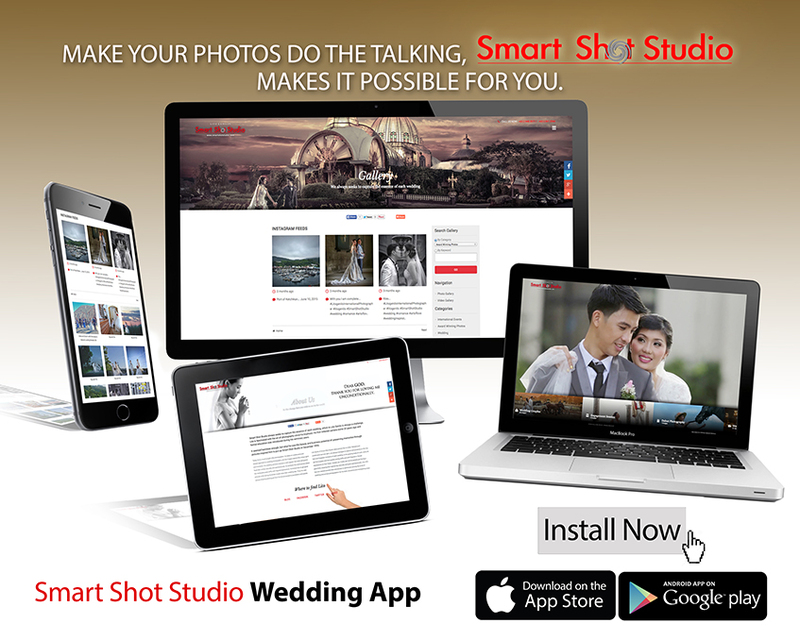 What’s more, you can have an easy access to your wedding photos with the Smart Shot Studio Wedding App. One of the features of this newly launched application is the “Getting Started With Smart Shot”, which is good for soon-to-weds, particularly Smart Shot Studio clients. It also has a wedding photo gallery, where you can browse inspiring photos taken by Smart Shot Studio. Through the Smart Shot Wedding App, you can also get exclusive premium photos that you can use to have a beautiful Facebook profile page. It is also highly personalized. You can activate your account and get access to your photos. And since it is easy to use, you can easily share these lovely pictures with your family and close friends. Download the application now and be part of the conversation. The app is available on Google Play and Apple Store.